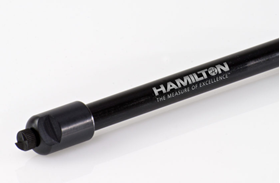 Hamilton Anion Exchange Columns | Chrom Tech, Inc. In anion exchange chromatography, the stationary bed has an ionically positive (+) charged surface while the sample ions are of negative (-) charge. This technique is used almost exclusively with ionic or ionizable samples. 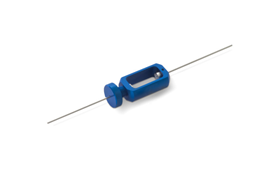 The stronger the negative charge on the sample, the stronger it will be attracted to the positive charge on the stationary phase, and thus the longer it will take to elute. Elution in ion chromatography is effected by mobile phase pH and ionic-strength, and, to a lesser extent, operation temperature. 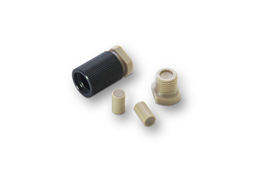 The ability to use the full pH range and elevated temperatures are distinct advantages compared to silica-based supports. 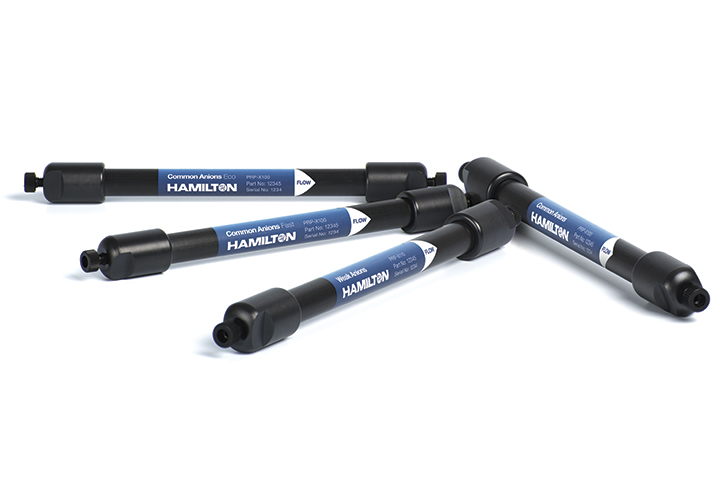 Hamilton offers six polymeric packing materials for anion exchange separations. Flush with 150 mL 0.1 N sodium hydroxide. Pump approximately 50 mL of methanol with 1% 6 N nitric acid.